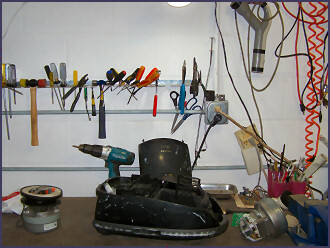 The Vacuum Store is a locally owned and operated business specializing in vacuums and vacuum repair. 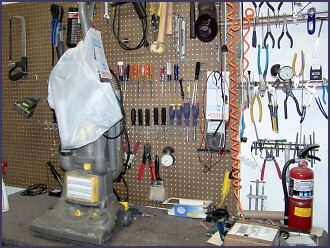 Vacuums are not just one of many different products we sell, rather they are what we do for a living; our specialty. We service vacuum cleaners of all makes and models such as Riccar, Electrolux, Fuller, and many more. Does your vacuum cleaner need a new bag or belt? Has your vacuum stopped functioning and is in need of repairs? Would you like to bring your vacuum in for preventative cleaning and maintenance? If so The Vacuum Store promises fast, friendly repairs and service at competitive prices. Our experienced and knowledgeable staff is able to repair and clean your vacuum and return it to like new condition. While we are happy to repair or service your vacuum, we would also like to help you avoid costly repairs. We've assembled a few thoughts in an effort to help you save money. Avoid vacuuming over items that are too large to be properly sucked up. Vacuuming objects that are too large can jam your brushes, fry your belt, and your motor. Clean the beater bar; the cylinder that holds the brushes and spins. It can often get clogged full of hair and other compounds that restrict the spin and can eventually damage your belts and motor. Perform regular maintenance. Change any bags, filters, and empty canisters at regular intervals. Doing so will cause your vacuum to operate more efficiently, with less effort, and prevent excess dust and dirt from remaining in your system. Use attachments properly. Each attachment is made for a different purpose. For example, the long wand is made to help you vacuum cob webs or vacuum under the dresser. It is not made for vacuuming up large objects. Attempting to do so could cause it to clog, and your vacuum loose suction. Take some time to clean your vacuum. One hand washes the other. If you keep your vacuum and its parts clean it will function better and you will prolong your vacuums life.